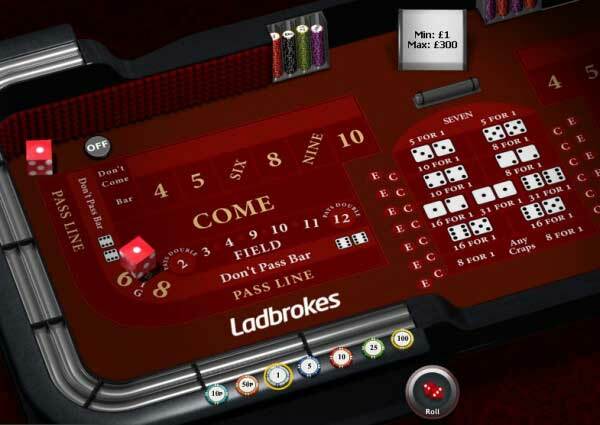 Ladbrokes is a multi-channel online gaming service, offering players the chance to compete in poker, casino games, and sports betting. Unlike some other site, Labrokes features a shared wallet system. This allows users to split up their money into various funds, each used by a particular channel. Players can easily transfer funds between their sports, poker, casino, and gaming accounts, all from the convenience of the cashier. 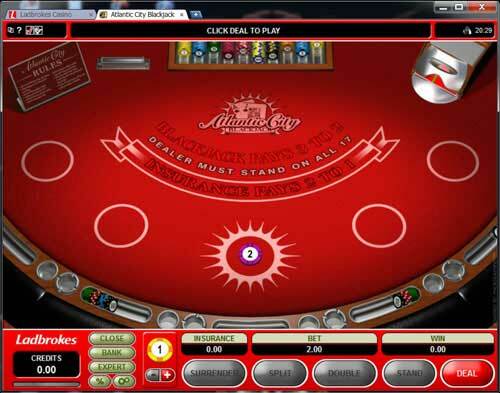 Ladbrokes allows their players to take advantage of more than one deposit bonus at a time. This means that a user could have an active poker bonus, a casino bonus, and a sports betting bonus all running simultaneously. This is an improvement over a lot of other sites, who force their players to pick just a single promotion. 18+. New real money customers only. First deposit only. T&C’s apply. TERMS: Players have 7 days in which to make their first bet and take advantage of this offer. Players who want to earn Labrokes’ £50 Match Bet should enter the promotional code FTRBONUS when activating and creating a new account. After your have an active account, navigate to the cashier and under the Free Bets tab, input FB50 into the promotion code box. This will allow you to earn a £50 match on your first bet of at least £5. Players have 7 days to cash in on this offer. TERMS: In order to grab the full £400 reward, then, they’ll need to wager £8,000. Different games count at different wagering rates, so be sure to check the complete list of terms and conditions. 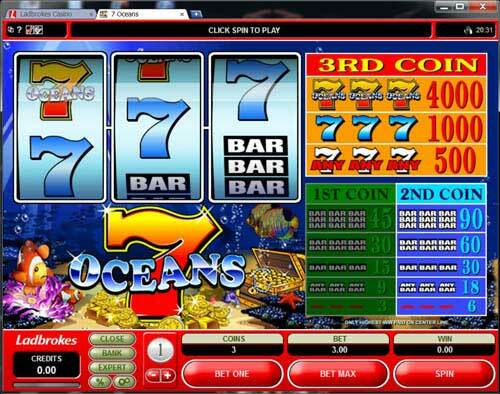 Ladbrokes features a 200% up to £400 for their slots players. This is an automatic bonus, with no promotional code required. The offer activates as soon as a player makes a deposit. Players must wager 20 times the amount of the bonus in order to earn credit for the entire bonus. This means that, in order to snag the free £400, players must wager at least £8,000. 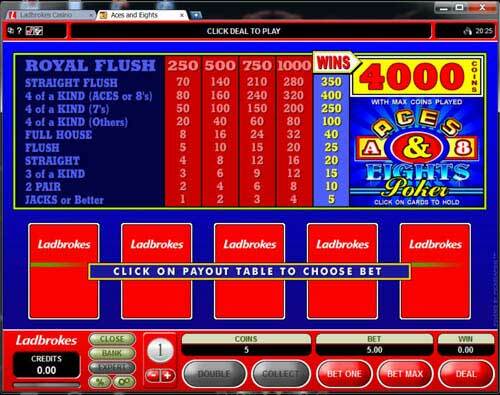 Video poker players at Ladbrokes should take advantage of the company’s 200% up to £400 casino bonus. This offer requires no promotional code, and is activated when a player makes their first deposit. In order to clear the entire bonus, players need to wager 20 times the amount of the bonus. So, if a player wanted to earn the maximum reward, they’d need to deposit at least £200. They would then have to wager £8,000. Ladbrokes’ Blackjack players are eligible for a free 200% up to £400 promotional offer. This bonus is activated automatically when a user makes their first deposit, without the need for a special code. 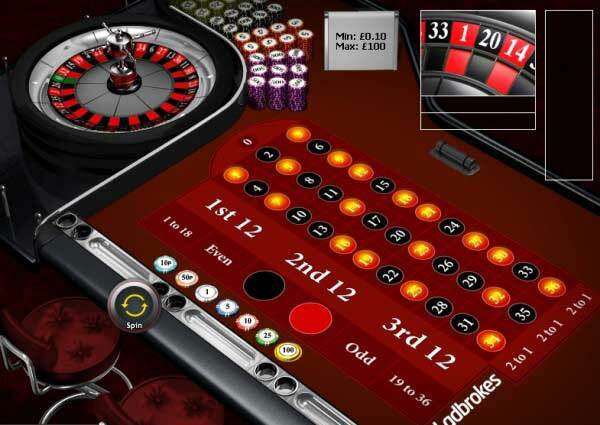 Users with an affinity for the roulette wheel will be in line for a 200% up to £400 bonus, courtesy of Ladbrokes. This is an automatic bonus, meaning that players don’t need to enter any sort of promotional code. This takes the burden off of the user, leaving them free to focus on clearing the wagering requirements. Speaking of which, the wagering requirement for this bonus is 20 times. Users who load up at least £200 will then need to wager £8,000 in order to unlock the complete £400. This seems like a lot, but it’s pretty much in line with the industry standard. More resources on the Ladbrokes Casino Bonus Offer: Ladbrokes Casino Promotion Code. 18+. New real money customers only. First deposit only. Paid as pending bonus. Bonus funds released with point accumulation. 90 days to accumulate points. Freeroll tickets valid for 2 months. Twister tickets valid for 1 month. Tourn tickets valid for 2 months. Cash table ticket valid for 30 days. T&C’s apply. 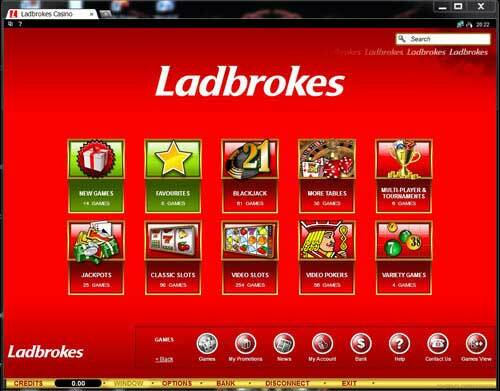 Register a new account with Ladbrokes and enter “FTRBONUS” during the signup process. In order to get Labrokes’ 250% up to $1,500 poker bonus, players must enter the promotional code “FTRBONUS” when registered their new account. They can then make their deposit at the Cashier screen, and begin earning their reward. Players have 60 days to clear this bonus. After the time limit is up, they will be allowed to keep whatever they’ve earned up to that point. This bonus is also offered to players who prefer to keep their currencies in Euros (250% up to €1,250 )or Pounds Sterling (250% up to £1,000). TERMS: Only players in the UK are eligible for this offer. They have 7 days to complete the wagering requirement. The bonus will be credited to their account within 72 hours. By purchasing £10 worth of bingo tickets, Labrokes users will be eligible to earn a £30 free play bingo bonus. Once they’ve laid down their £10, players should see this money credited to their account within 72 hours. The Ladbrokes Bingo Bonus features a wagering requirement of just 1 time. So, a player who wants to snag their free £30 will need to wager that same amount in order to unlock the cash. Players can choose from 90 Ball, 80 Ball, or 75 Ball games when clearing their bonus. Joker Jackpot, Pattern Bingo, Lucky Loft, Deal or No Deal, The Hall, The Garage, and Who Wants to Be a Millionaire Bongo games also count toward the final goal. Players have 7 days to meet the wagering requirement. Only players in the UK are eligible for this offer.